IThis new series kicks off this Sunday at Brands Hatch in the UK with, I believe, around 25 countries represented. This just could be the on track action we have been waiting for. 25 identical motor cars, representing 25 countries with 25 hot-shoes in the driver’s seats. No tyre wars and other such rubbish. Just some good old fashioned motor racing. Let us hope so. The series will be televised on Star Sports and (I think) will be shown at 6.30 p.m., because the race starts at 12.30 p.m. - but check this! 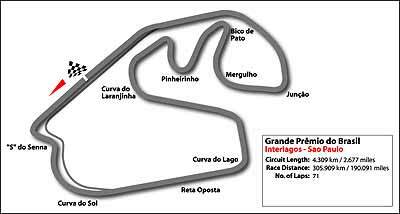 I will be at Jameson’s and may as well take my bed and wait for the Grand Prix from Brazil at midnight. Last week, I asked which car company was the first to have a dedicated production line for customer competition cars? It was Ford Motor Company in the UK with the rallye Escorts. Remember the RS Escorts? They were built in their own special factory. So to this week. What is the connection between Stuttgart and Ferrari? Brazilian GP this weekend too! The Brazilian GP has been moved from its previously final position in the calendar, with China and Japan still to come. This could be the decider for Fernando Alonso, because if he scores at least six points, he cannot be caught by the other youngster, Kimi Raikkonen. Even though Raikkonen has been the class act of the season, the unreliability of the McLaren Mercedes has left him trailing the amazing reliability of the Renault of Alonso. It has been obvious that Alonso has been stroking it to the finish over the last three events, making sure he is there at the end to collect the points, rather than challenge Raikkonen for the outright win. The Brazilian GP has been famous over the years for the unruly crowd and circuit signs that fall down. With the time difference between that side of the world and us, I think the event will begin at midnight on Sunday 25, but check your local TV feed. I will be sitting on my perch in Jameson’s Irish Pub Soi AR, next to Nova Park, so come and keep me company. After a week of having the new 5 Series BMW in my driveway, only now do I feel I am able to do justice to this, in many ways, very advanced motor car. The simple fact is that the more technically advanced and more complex any vehicle is, the longer it takes to appreciate just what that vehicle can do. Even on the last day, I was still learning more and discovering more features. As a couple of small examples, it was not till it began to rain that I found that the wiper speed was determined by road speed. Stop at the lights and the wipers slowed and even stopped if the rain was light. Take off again and the full sweep of the wipers began once more. Like wise, as I drove through the hospital multi-storey car park, the lights automatically came on, turning themselves off as I drove outside. Small things, but ones that show attention to detail. 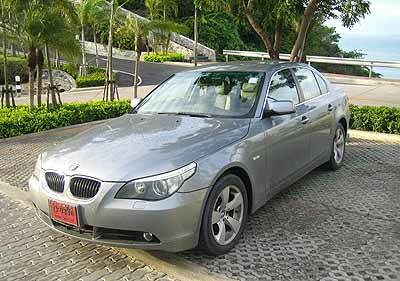 Driving the 5 Series was an exercise in appreciation of superb vehicle dynamics. The designers and engineers in Germany show a great understanding of what a motor car could do, and knew how to make it happen. The initial feeling from behind the wheel is one of solidarity, security and safety. It gives you the impression that no matter what you do, this BMW will get you to your destination, swiftly and safely. There are no corners on the motorways any more. 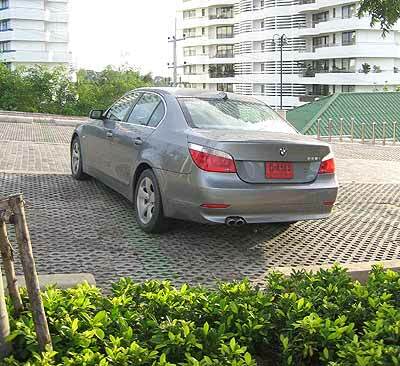 The 5 Series just sails through, without body roll, without protests from the tyres, and totally without fuss. It is difficult not to feel a little smug as you leave the lesser mortals lurching along in your wake. 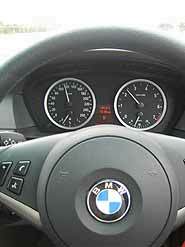 Much of the superiority of the 5 Series lies in the application of electronics to the dynamics. All the movements and forces at the wheels are measured by microprocessors, which are then analyzed by the central computers. In turn, corrective influences occur, without the need for human (driver) intervention. BMW’s microprocessors are understanding what is going on, much faster than any driver, no matter how sensitive the driver is in the ‘seat of the pants’ area. Believe me. One example of this is what BMW call their ‘dynamic steering’. Like the windscreen wipers, the sensitivity in the steering is linked to road speed. At very low speed, the steering movements at the road wheels are very rapid, compared to steering wheel movements, but at speed, the amount of road wheel movement relative to steering wheel input is much less. This makes low speed maneuvering easy and high speed touring safer. There is no doubt about the sporting nature of this large saloon. Almost 5 meters long and 1.8 meters wide, it weighs in at 1.5 tonnes. This is actually lighter than you would imagine, as BMW have used aluminium extensively in the construction of the body and several suspension items. 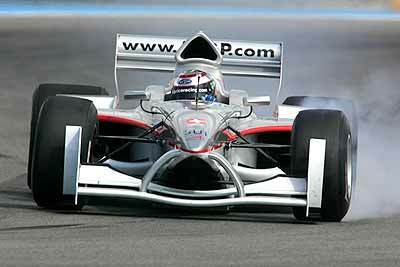 The end result of all this is a car 75 kg lighter than the previous model and a weight distribution of 49:51 percent. And with close to 200 horsepower on tap, it gives you a good push in the back when you floor the accelerator. The transmission is interesting - a six speed ZF automatic with manual over-ride. The torque is such that the top two ratios would normally be considered as overdrives at 0.87 for 5th and 0.69 for 6th, these making for effortless relaxed cruising with the 3.73 fairly tall differential ratio. 120 kays is around 2,400 RPM. This tall gearing is easily accepted by the engine. However, the response from the kick-down is almost instantaneous, dropping down two or three gears to give instant punch when needed. Another electronic aid to driving, and one that I will sorely miss when I get back into my more humble personal chariot was the IR reversing system. Pop it into reverse and the on-board display becomes a mini-radar, showing clearances front and rear, as well as an audible warning, which gets increasingly frenetic as you get closer to another object. Much has been said and written about the i-Drive system in the newer BMW series, which gives the driver control over many functions of the car, modifying certain characteristics to personal taste. It was labeled as “impossibly complicated” in the 7 Series, but it has been simplified (or made more user-friendly) in the new 5 Series. Being someone who has problems with the remote on my TV set, I was a little wary of the i-Drive at first, but honestly it was not that fearsome at all. In fact, one of my computer literate friends, John Seymour, hopped in, said, “Wow!” and in 30 seconds was navigating all its features. The interface between wheel, seat, and pedals is good, allowing left foot or right foot braking very easily. The window control buttons are not ergonomic in the fact that you push the button forward to lower the window and pull it back to raise. Soon adjusted to, but certainly goes contrary to what my brain expected. Driver’s seat excellent and the range of settings for both squab and back seem endless, and I loved the way the sides of the seat wrapped themselves comfortingly around me. Likewise, the rear seat passenger space is excellent. The sound system made the car a wonderful mobile auditorium, but showed just how bad the local radio stations are if you cannot understand Thai. Those who can understand the language tell me that it makes listening even worse. Fortunately Mr Beethoven came to my rescue with concerto’s on CD! And getting down to the mundane, it does have a cavernous boot, so perhaps Mr Bangle’s disliked bottom has some practical reasons. The elastic netting on one side to hold small objects was also appreciated after a trip to the market. However, there is no car yet made that does not have some flaws. For me it was the interior - the plastic petrified zebra skin fascia and door panel trims were quite horrible. Also, the silver bezels around the instruments reflect passing street lights and this produces distractions. My biggest gripe was the lack of usable cubby holes. Capacious glove boxes on the passenger’s side are no good for the solo driver. Even the door pockets are not large. The central console has a lidded container, with yet another inside, like a set of those annoying Russian dolls inside dolls, inside dolls. A small space beneath the i-Drive binnacle will take the mobile phone, but which allows ejection with any reasonable amount of right foot. My Nokia spent the week in a state of concussion. In summary, a great car for the passengers, wonderful dynamics for the driver, disappointing interior appointments and keep your mobile phone in your shirt pocket.